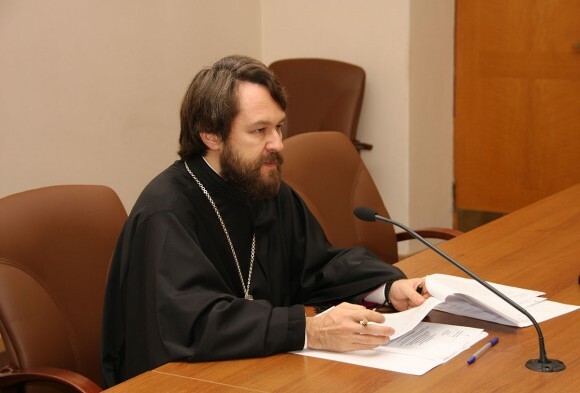 Moscow, November 19, Interfax – Head of the Synodal Department for External Church Relations Metropolitan Hilarion offers to postpone baptism of “surrogate” babies till they reach the age of consciousness. “On the one hand, any born baby can be baptized – basing on the faith of those who intends to baptize him. In Soviet times many babies were baptized through the efforts of their relatives, in secret, even their parents didn’t know about it. The baby doesn’t bear any responsibility for the way he was born,” the metropolitan said at a session of the Biblical-Theological Commission in Moscow. On the other hand, he further said, responsibility for a baby’s Christian upbringing lays on his or her parents or godparents. “If parents don’t repent in what they did and godparents by the fact of their participation in the Sacrament express their approval of the sinful act, then what Christian upbringing can we talk about? Shouldn’t we postpone the baby’s baptism till he or she reaches the age of consciousness?” the metropolitan asks.